I apologise in advance for the possible translation mistakes I might have made. Mediumship: it is the ability to perceive energies that may come from people, entities or the environment. Mediumship is not exclusively reserved to an elite minority, it is specific to everyone, on various levels and depends whom you are (personality, choices, actions, life). Thus, understanding our own mediumship, is understanding who we are, our lifestyle, our personal interests. It is understanding ourselves. I will never repeat it often enough, the key of esoterism is: self knowledge. Before even engage in a grandiloquent, mystical practice, or a specific spiritual path... Knowing oneself is fundamental. And self knowledge leads to the understanding of your mediumship because it develops through natural factors inherent in your life, before even being a part of the personal development process. Abilities sometimes manifests as a self-defense mechanism, a way for the psyche to put up with a particularly difficult event by releasing energy on other plans. To sum up, developing some aspects of mediumship, is sometimes a way to ''save'' yourself. In front of an umbearable reality, someone can lose a bit of his grounding, over-developing his crown-chakra and thus having the head in the stars and acquire a sensitivity to energies. Thus, coping with death, when the loss of a loved one is a profound grief, psyche naturally looks for a ''palliative'', it brings energies to mediumnic abilities that allow contacts with other plans, and thus allow the person to realize there is a reality after death. Giving him the strength to bear something that is not seen as a loss anymore, but as an absence. Because when we go through difficult events in our lives, our energies, fighting for surviving, will directly develop our capability of voyance for example (which can be more or less important depending on the people, from intuition to a spontaneous voyance ability). Examples are numerous. We develop according to our life, and naturally our abilities will be influenced by what we need, most of the time outside our conscious awareness. A musician will tend to get a strong clairaudience, while a physician will have an excellent ability to read energies of the physical plan. Mediumnic abilities can fill a ''gap'', and palliate the lack of an information. For a deaf person, developing telepathy for example, or the clairaudience for someone blind. These are two factors that people neglect most of the time. Not ''believing'' in esoterism doesn't mean that you can't being affected by a curse, or having a serious haunting problem. The person is thus forced to use its energies in order to survive, increasingly as the problem is not solved. When the curse is lifted, energies stays and flow naturally to what they are intended: mediumnic abilities. Previously, their purpose was to help the individual to survive (with the development of indirect capabilities to fight), now, they take their natural place, and here comes the person's life to understand the axis they will follow. So we understand the inter connexion between the energies and our physical life, we cannot exclude one another. How to take advantage from this natural development ? First of all, you can reinforce your energy level, which will lead your capabilities to continue to develop while having a sufficient energy supply regarding your use or your situation. You also have to understand that depending on the situation, you can develop a very specificity. Your mediumnic abilities will thus be oriented toward a unique point. You will be excellent at it, but poorly efficient in any other field. So in order to develop all of the aspects of mediumnity, you might need to modify your environment, or to do some exercises different from what you are used to do and which force you to open your ''antenna'' on other points. For example, a nurse who uses her energies and abilities in order to understand her patients is used to read on a physical level the illness (she feels, perceives, ...). But by this mean, she will far less develop more global energies to perceive the environment, the nature, the wholeness, if she doesn't consciously pay attention to it out of her work hours. The differences and the plurality of your abilities are thus closely linked to what you are, what are your personal interests, and your actions. Being interested in equi-nox widen your fields of interest, your wills, and train you by the knowledge and the experimentation to an expansion of your abilities. 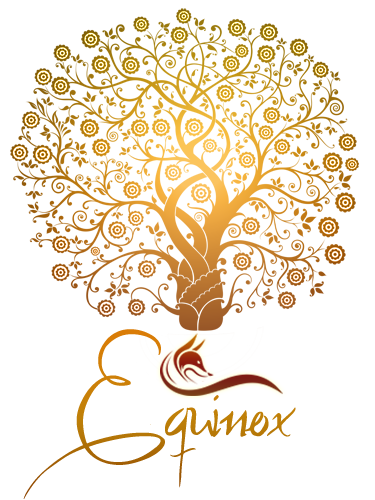 Provoking the idea that equi-nox is developing your abilities, while it is coming from you and your actions. Many members told that they observed an increase of manifestations and sensations since they started to be interested in the forum. Understanding what you already have, and what are your axis. And, by taking the time to acknowledge that you are more ''music'' than ''fine art painting'' you will also understand that your mediumship can be easier to develop with clairaudience than clairvoyance (this is a factor, not certainty, numerous interactions can occur). So you'd better train to develop your abilities regarding to yourself, in order to anchor your mediumship in your everyday physical life. The tool becomes useful and you can work on his mastery over time.